Florida Bass Fishing is starting to turn on here in Florida especially on Lake Okeechobee. We are seeing excellent numbers and big bass being caught. 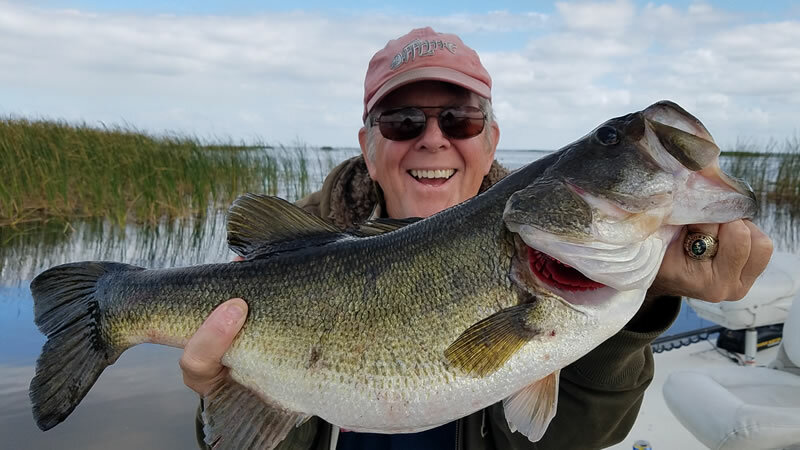 Enjoy a Trophy Lake Okeechobee Bass next time you visit the state. I had the pleasure of fishing with Dave and Todd. They are originally from New York but currently live in Florida. These gentlemen were great people to fish with always keeping me on my toes. Last time they came out, they caught an 8 pounder. One of their goals for the day was to beat it and catch an even bigger fish. Cold fronts have made the lake unpredictable so we had to fish different locations than last time. We saw some great numbers of largemouth bass with most fish in the 2 to 3-pound range. Also, Dave and Todd caught 4 and 5 pounders. Fortunately, they also caught the fish they were looking for. It was a trophy largemouth bass weighing 9.5 pounds. You have to experience some of the best parts of Lake Okeechobee and the only way to do that is to get out on the water. 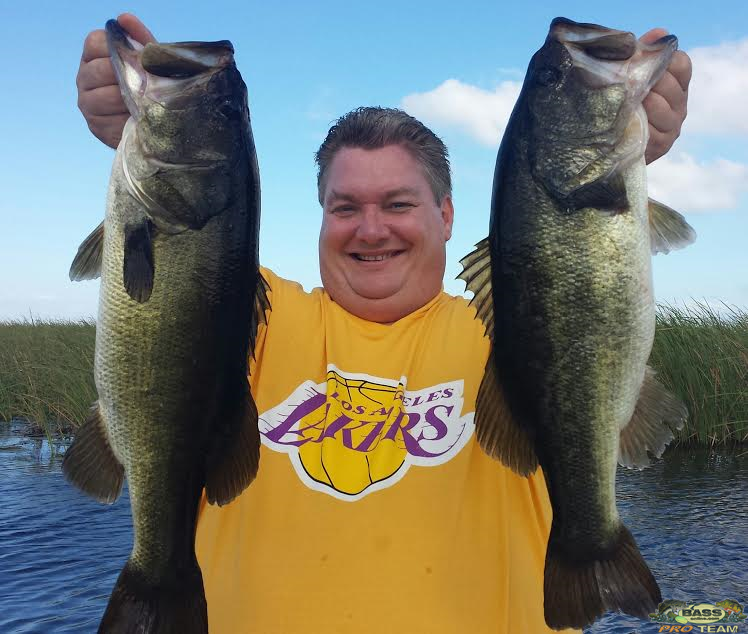 Bass Online can get you hooked up on Lake Okeechobee and many more of its amazing locations here in Florida. We have some of the best fishing captains around and we don’t want you to miss out on your adventure. I look forward to fishing with you and Dave and Todd again very soon! 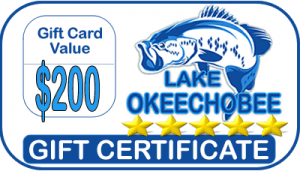 Come to Catch Yours with our Local Experts on Lake Okeechobee. If you enjoyed this post, you might also enjoy this fishing report from the same area. Don’t forget to follow us on Facebook, Twitter, and Instagram. Robert Emma from Hartford, CT fished a full day on Lake Okeechobee with Captain Mark Shepard.